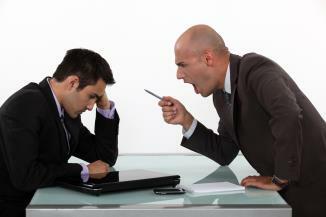 Workplace bullying: Is it happening to you? When someone mentions bullying we often find ourselves associating it with children or teenagers arguing back at school. However, the true face of bullying can be seen in almost every environment whether it be school, work, or at home. As adults, it is hard to identify and admit when you are the target of bullying especially when it involves someone in power such as your boss. The effects of workplace bullying are real and damaging, it can not only affect your peace of mind but can also put your job on the line. It can be difficult to spot when a co-worker or boss are crossing the line and it may be even more challenging to take action in order to make it stop. Too often are workers intimated by workplace bullying and allow the abuse to take control of their work life at times putting at risk their job and career. Make no mistake: workplace bullying is a form of abuse, and it will keep happening since it’s not actually illegal. Although some work environments do have guidelines aimed at preventing and dealing with this type of abuse it is still very prevalent. Workplace bullying is four times more common than either sexual harassment or racial discrimination on the job (Workplacebullying.org). Due to the unfortunate reality that the victim is often intimated and unable to report such actions, it is important to understand the severity of bullying from co-workers or management. In situations where the abuser is a person in power, like in most workplace bullying incidents, reporting becomes even harder. How do we know we are the victims of workplace bullying? In most cases the victim has had a few red flags arise already in the past from the same person whether it be short smart remarks, or mean comments meant to be taken ‘sarcastically’. >You start feeling intimidated or nervous every time you encounter this person. You are having a hard time going to work and dreading an encounter with this person because she is likely to say a mean/offensive/unnecessary remark. There is no reason anyone should make you feel uncomfortable, especially at work. If you feel apprehensive about seeing her because you know she is specifically targeting you and is ready to throw some type of remark AT you it is bullying. Everyone has their own share of over stressing at work whether it is a big meeting or abnormally high workload. However, constantly stressing over small things that you normally wouldn’t worry about because of her can lead to anxiety, lack of focus, decrease in productivity and a feeling of helplessness. At times, when the victim is being bullied by their boss he or she is constantly looking behind their shoulder worried that if they bring up the issue their boss will most likely get upset this can cause anxiety and unnecessary stress. You are stressing over this person outside of work and can’t help but think about all the offensive or mean things they have said that deeply hurt or bother you. You can’t enjoy time away or off your workplace because you are constantly worried about what is going on at work and whether or not that person is talking about you. You have already told this person to stop or have taken action that lets that person know you are not comfortable with them speaking to you in a certain way or touching certain subjects, yet they do not take it seriously and have not stopped. You have made it clear that you are uncomfortable with certain things being said or done towards you and have shown that you are not pleased with their antics. However, that only fuels that person into acting in an even more abusive and offensive way. You do not want to deal with this person anymore and would much rather find another job just so you do not have to deal or see this person again. You prefer going through all the trouble of looking, applying and interviewing just so you can escape out of there fast rather than spend another day with that person. If this problem is starting to affect other aspects of your life then it is time to take action and see it for what it is: workplace bullying. You cannot sleep at night because you feel so anxious about having to go back to work the next day or you cannot enjoy other activities due to constantly thinking about it.Your work performance reflects your current situation since it’s severely affected by it. There are many useful resources available online that show people how to properly identify workplace bullying for what it is: abuse. Helpful tips and advice is also given in hopes that the person will take action to stop this type of bullying. It is important to look at your workplace’s harassment guidelines and see what has to be done in order to correctly file a complaint. Reach out and try to find all necessary personnel you have to speak to in order to get this problem taken care of. Websites such as Workplace Bullying are completely dedicated to helping victims out of their struggle. If you feel that you are being targeted at work there are a few things you can do and take action right away. First identify the situation, take a step back to see if this person is only targeting you or is the same way towards other. Does this person have a bad attitude that is reflecting itself to others? Are there other people in your workplace that find this person offensive and mean? Secondly, make sure you make it loud and clear that you are not ok with the treatment this person is giving you. Let her know that she is being rude, offensive or inappropriate and that you do not appreciate her comments or specific behaviors. Informing other person that you are aware of her actions towards you is important and shows what you will not stand for and that gives you some kind of power of the situation. However, it is important to remain respectful and polite to this other person and not come off as damning. The last thing any worker needs is to have a complaint sent in to a higher power for starting up an argument at work, even if it is with a person who is bullying you. If the situation continues even after your talk with the person who is bullying you, then it is time to start documenting every and anything this person says or does against you. Whether it is an email, a phone call, or notes – they are all evidence you can use when reporting to a manager or supervisor about the situation. It is important to involve your supervisor or boss with what is going on, and hopefully, after disclosing everything they will be able to offer much needed help and work on a solution to the problem. Writer, blogger and public health enthusiast V.L. Aroche writes about anything related to women. Whether it be inspirational, motivational, or just for laughs she enjoys writing about life and everything that comes with it. She also dedicates most of her time book blogging and discovering new stories, besides writing reading is her number one passion and hobby.